Located on the 1st floor, the meeting room is perfect for seminars, workshops, reunions or social gatherings such as bridal and baby showers. The room features over 600 square feet of space with full a serving area that includes a microwave, refrigerator and sink for your event. 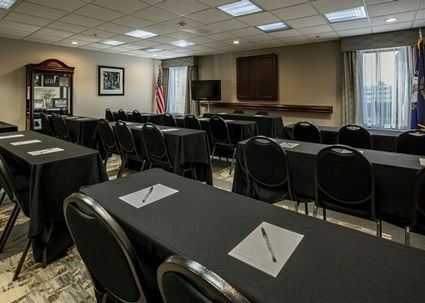 Our space is ideal for your next small to mid-size meeting or family event.